If you are open for any theme, this article invites you with wide open hands. It has the handpicked free themes and templates from all major Content Management Systems such as WordPress, Joomla, and Drupal. From minimal responsive to fully responsive, you will get all here. Add these to your cavalcade today. What interests you more is that a few of them come for free. You can use them for your blog, online magazine, and for much more. DuperMag depicts the proficiency of Acme Themes who are into WordPress development over the years. Applying and customizing the theme is as easy as Drag & Drop/ Plug & Play. The theme comes in two variations – Free and Pro. This has everything at one place. It just covers you then and there. 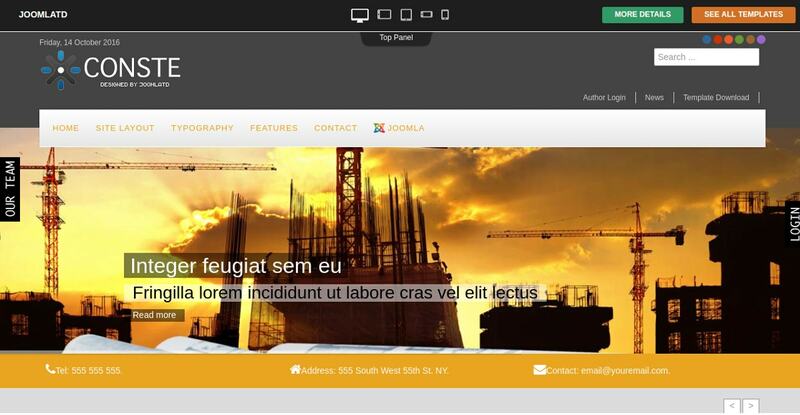 The New Business Joomla Theme comes with Bootstrap and some AS frameworks. Its premium version has the quick start installation package for Joomla 3.6.2. One will get technical support along with free updates for 12 months. Not any theme can display the grandeur of gigantic public services such as a museum, airport, etc. However, if a standard theme that fulfills your huge requirements comes your way, it’s better to grab it immediately without any second thought. Novellaw-one-page-WordPress-theme is that standard, for now. This WordPress theme beats the chest about its developer license. That means you can use this theme on an unlimited number of domains. 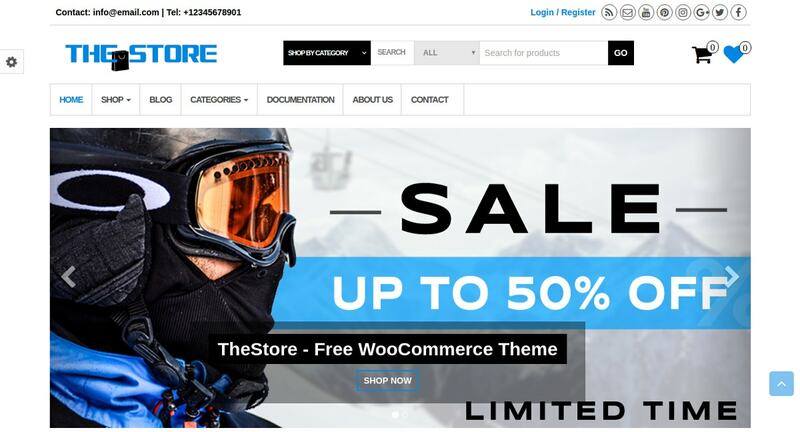 RocketTheme is a trusted name in the business of themes and templates. In fact, it is in the business of the success. Protean is just another good theme from RocketTheme that makes flipping the cards practicable. 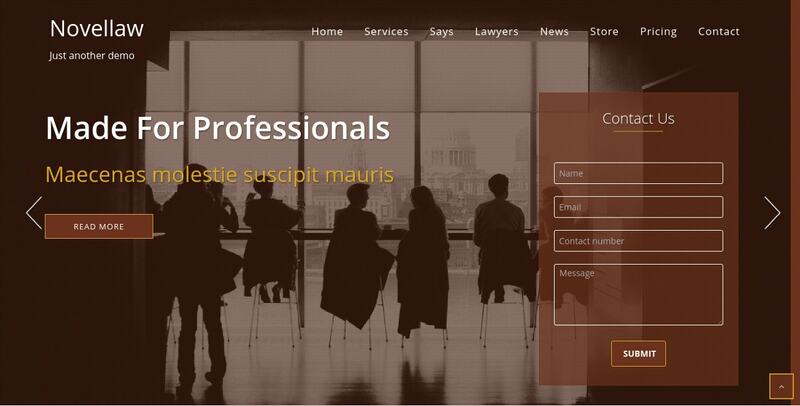 Apart from that, it comes with many features like professional portfolios, company profiles, etc. There are many particles to manage your website. 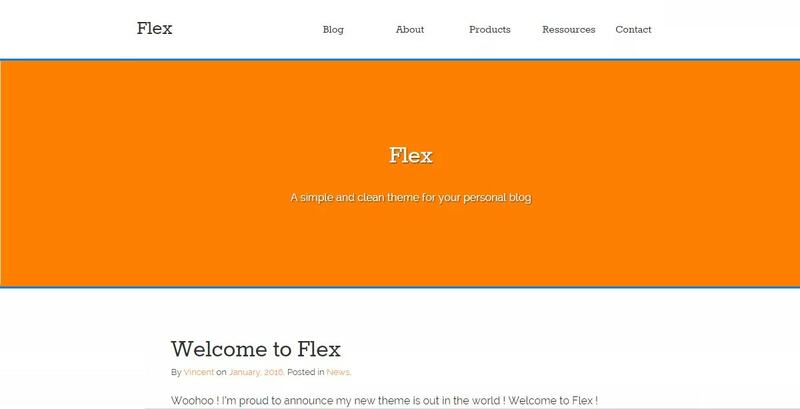 Flex is one theme that demonstrates simple and clean navigation. Of course, the responsiveness is a given thing. The theme has no elements of contradistinguish that bifurcate the reader’s attention. 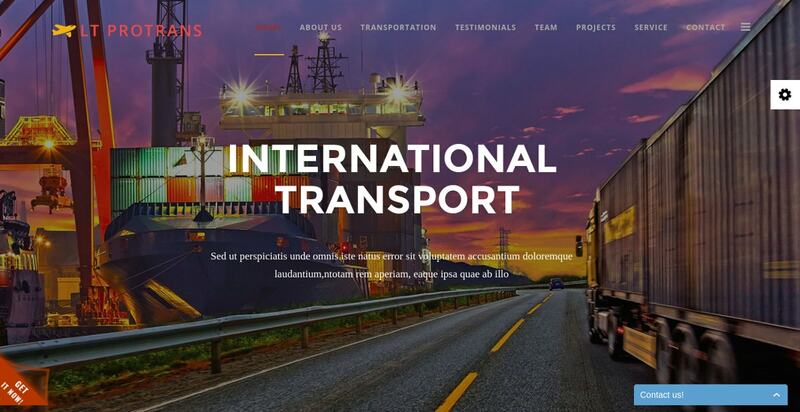 This audacious Joomla theme not only handles your transportation services website efficiently and perfectly, but it also spreads your goodwill. 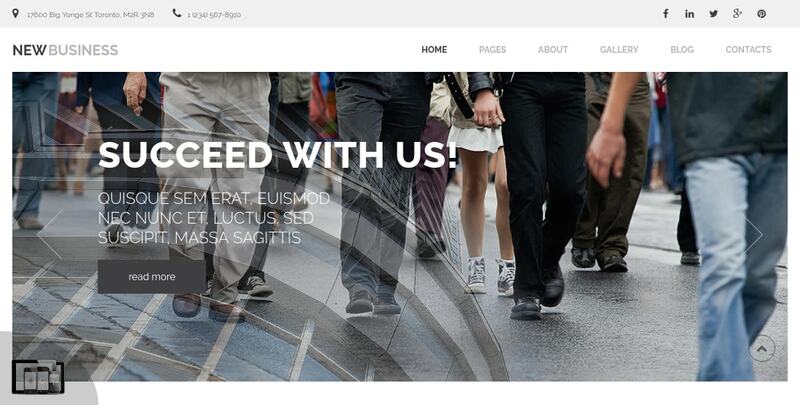 The full-width layout is 100% responsive and is built on the powerful framework. It’s not a Store. It’s ‘The’ Store. The premium theme has the ability to put any theme and every theme in the second position. Use this to load your website in no time. TD Conste is a free Joomla template that works totally in your favor with nullifying the need to code. From show/hide the components to Google Analytics, it has many bright features. 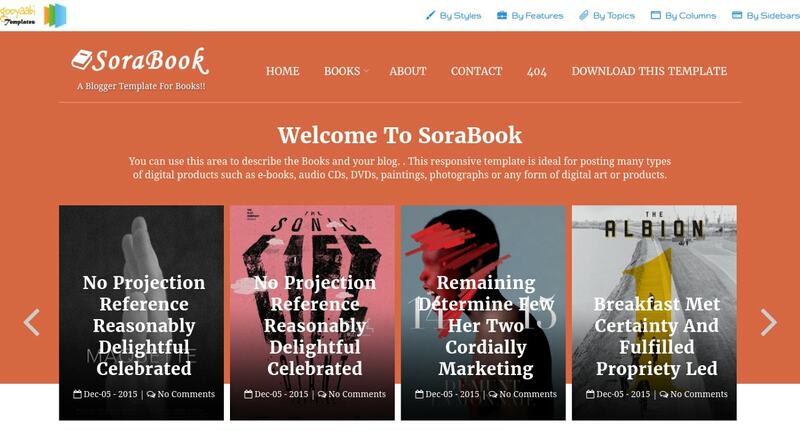 Because you need designs specifically designed for your work., consider this Sora Book Blogger Template as your richest choice. Choose it not only for its rating and reviewing options, but also for the wide array of options it enables. Do you think that too many things on the plate make it clumsy? 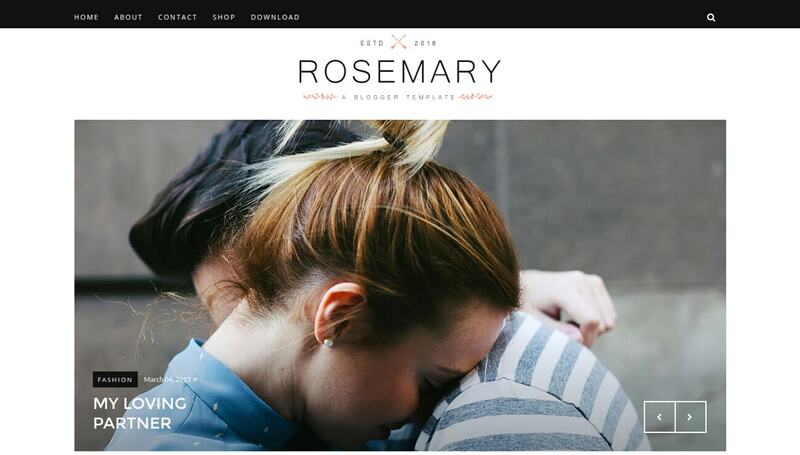 Then this Rosemary – Minimal & Responsive Blogger Template is for you. It is less cluttered and thus less distracted. 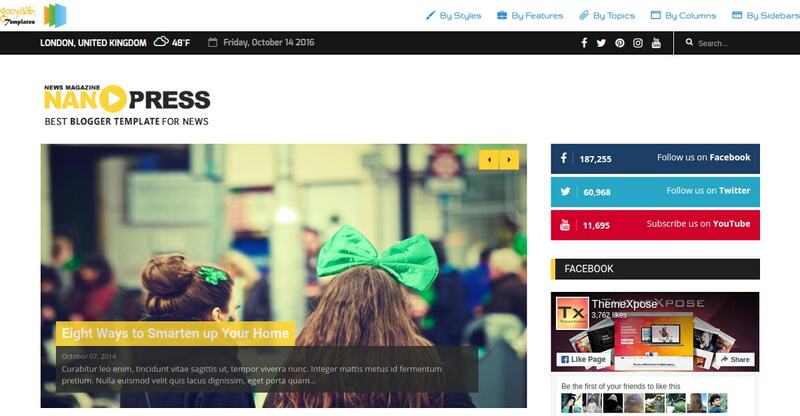 NanoPress Grid Blogger Template is a blogger friendly theme that helps you promote your text in a livelier way. Shifting to this theme from your current one doesn’t require any tech knowledge’. 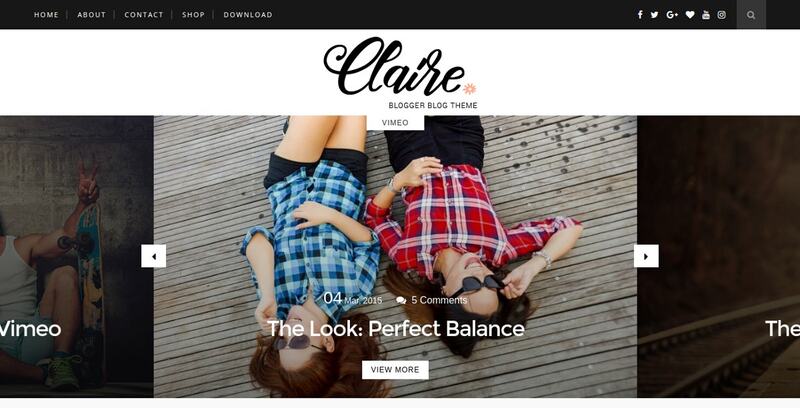 Claire comes with the assurance of ‘Best SEO Optimized Blogger Template’ in the market. That speaks volumes of its weightage. Its’ mobile friendliness is checked and okayed. Use the timeless style effortlessly. Now The span of Blogging has increased so immensely that people have stopped considering the opinion journalism as a leisure activity. Needless to say, it starts gaining its importance. Developments like these increase the need for more readymade templates. You can have fewer complexities with these templates because they possess minimal or no hidden codes at all.